Welcome back to The Faith Journey. This Sunday series is about my faith walk, and the things the Lord is teaching me as I go. I hope you will join me on this journey and grow in your faith as well. My Sunday school class just finished a series called Cat and Dog Theology: Rethinking Our Relationship with Our Master and Cat and Dog Theology on DVD: Unveiling Life's Purpose . The main idea to the series is that cats are care only about themselves, while dogs want to please their master. In other words, we should strive to be like dogs. This was actually the second time I have done this series, and I got every bit as much out of it this time as I did the first. It really is a fascinating study. Anyway back to the point I was trying to make. One thing that was mentioned today was that God does not need us to serve Him. He can always get someone else that can do it for Him, or for that matter, He can just do it Himself. However, He allows us to serve Him because that brings Him the most glory. I felt that this point really brought what I have been learning lately full circle. 1 Peter 4:11 says, “If anyone speaks, they should do so as one who speaks the very words of God. If anyone serves, they should do so with the strength God provides, so that in all things God may be praised through Jesus Christ. To him be the glory and the power for ever and ever. Amen." The study went on to point out that we can best serve God by asking him for his help! That seemed so strange to my little human brain, but somehow it actually made sense. There are countless verses instructing us to depend on the Lord. It is no accident that these verses are abundant. Our faith and dependence is a service because it glorifies God. This to me was the big "Aha Moment". I have been studying service for several months now, and this was the first time it really struck me that coming to Him is actually a service. Just in case you didn't follow all of that, let me phrase it a different way. God does not need us, He wants us. He wants us to want and need Him. When we need, depend, trust, have faith in Him, we bring Him glory. Bringing Him glory is how we serve Him best. Thanks for joining me today. 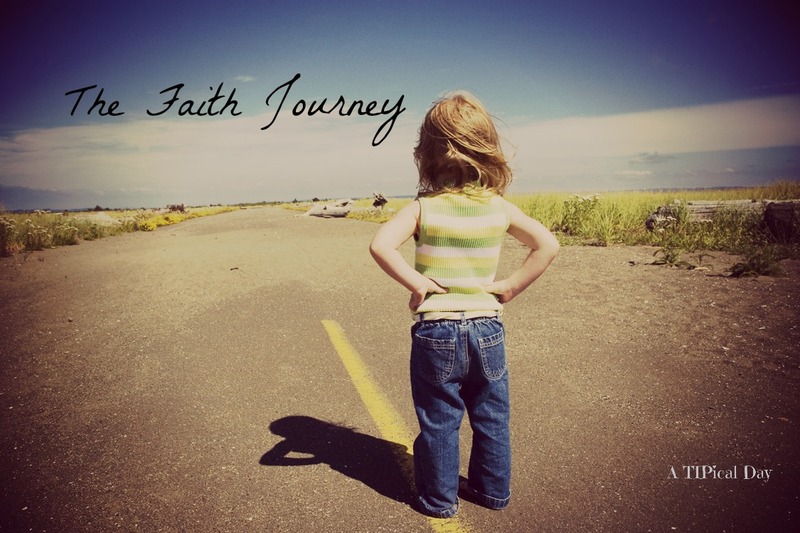 If you are new, be sure to check out my other Faith Journey posts. As always, feel free to share with me what he is teaching you, or how you can relate to what I am learning! I love hearing from you.